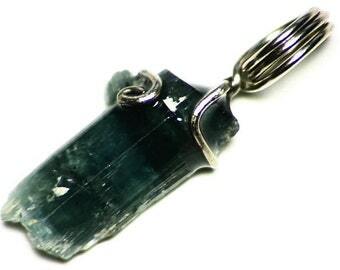 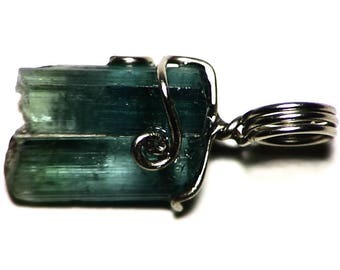 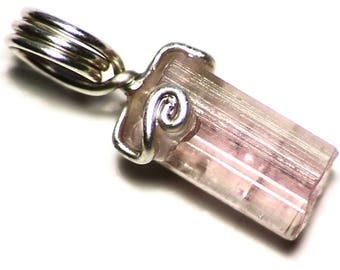 This pendant features a crystal of natural dark green (near black) tourmaline. 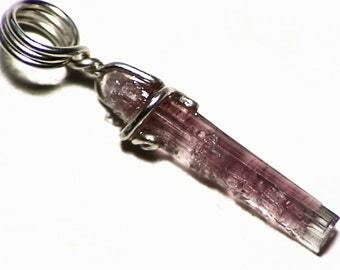 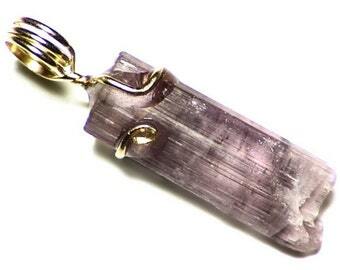 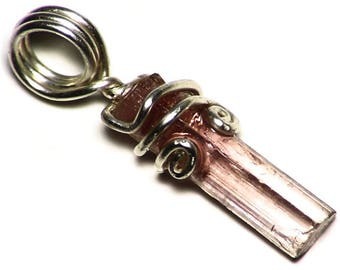 The raw crystal measures 1.28 x 0.09 inches (32.6 x 2.3 mm) and weighs in at 2.1 carats. 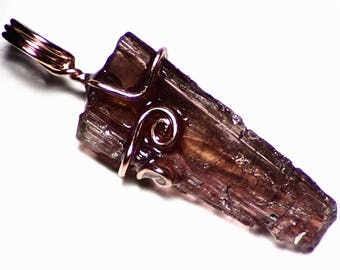 Tourmaline is a hugely diverse group of minerals. 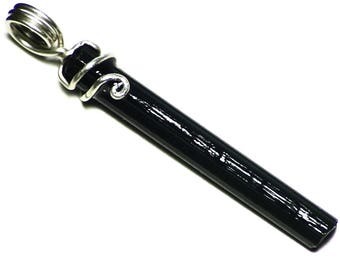 Though it comes in almost every color imaginable, black is the most common color. 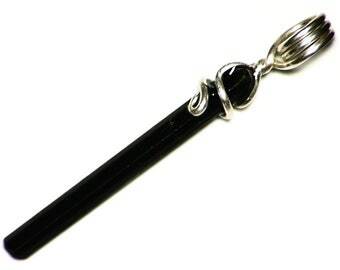 Black tourmaline, also sometimes called schorl, was often used in Victorian times in mourning jewelry. 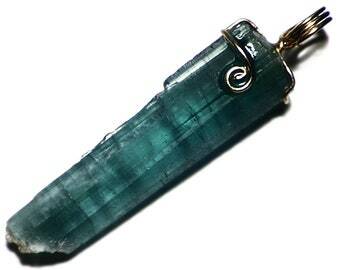 Fortunately, today the beauty of this often-neglected stone has been been more widely recognized. 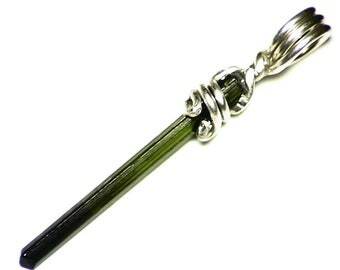 Often, some tourmalines identified as black (such as this one) are actually dark green instead. 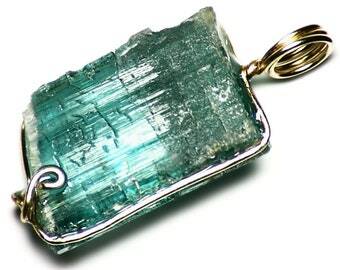 This is a nice example, with a classic triangular cross-section and polished, lustrous crystal faces. 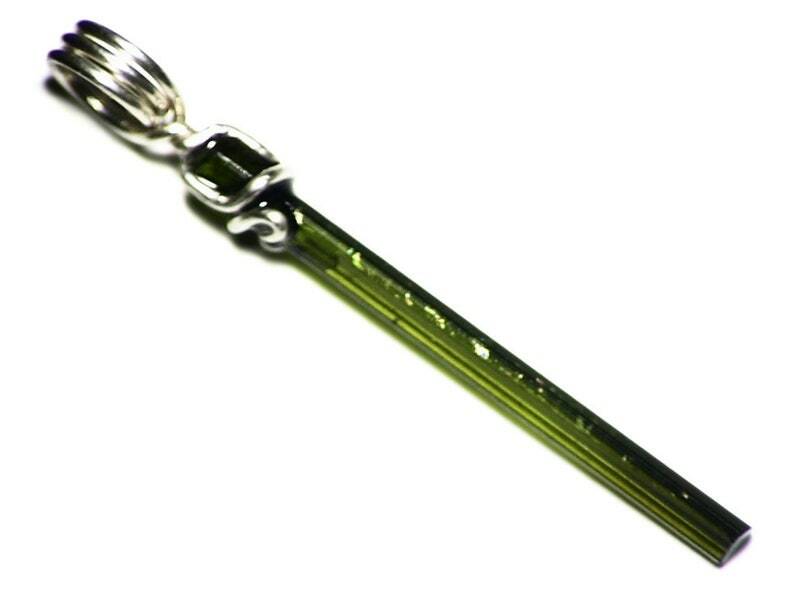 When strongly backlit it shows a green color.